The Socratic Salon breaks down We Should All Be Feminists...there's a great conversation happening in the comments. Join us! The success of the week was this Beef Stew with Beer & Paprika. Mmm, it'll stick to your ribs! I took my son to see Chris Hardwick in Minneapolis. What a great night! We laughed until our faces hurt. He is seriously funny. 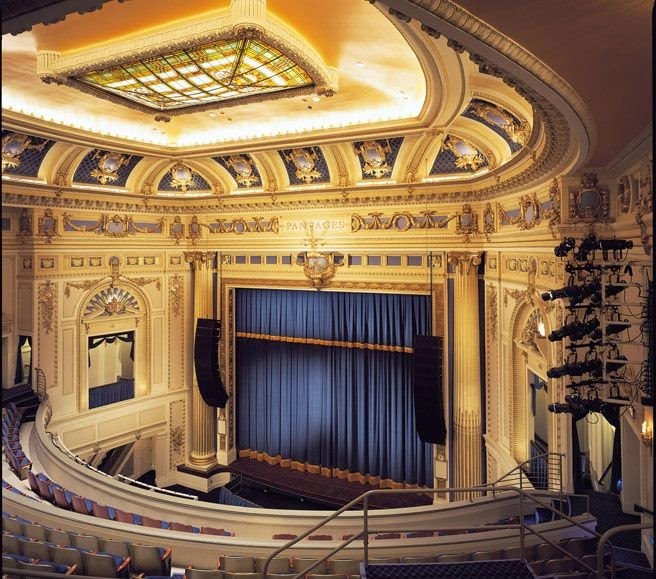 We saw him at The Pantages Theatre, what a gorgeous sight to behold. I'll sound elderly here but they sure don't build things they way they used to. I mean look at that place! I started reading Spinster but it wasn't what I expected so I decided to take a break and read El Deafo instead. (LOVE!) I'm currently reading Life from Scratch by Sasha Martin. It's making me hungry. I love this post from Catherine at The Gilmore Guide to Books. 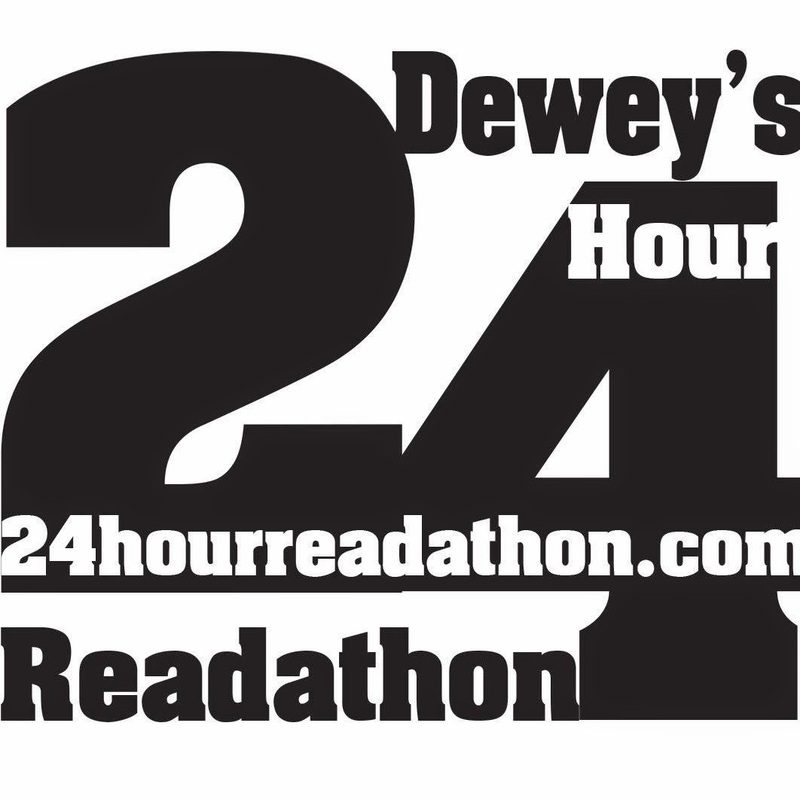 It's almost time for the 24 Hour Readathon! Have you signed up? Are you going to be a cheerleader? There's even a readathon readalong planned! I'm super excited and I'm sure I'll see you around that day. The financial goal has been met, but I'd be remiss if I didn't mention the outpouring of support that this community has shown for one of our own. We can never know the pain that Sheila and her family must be in. However, I hope that someday in the future, they'll sit on this bench at their local library and enjoy a moment of solace. My thoughts are with you, Sheila. How was your week? What are you eating, watching, reading? Tell me all! Typos, ouch. They are like speed bumps, lol. Not happy to hear Spinster isn't what you expected - I've signed up to read that one for a blog tour. 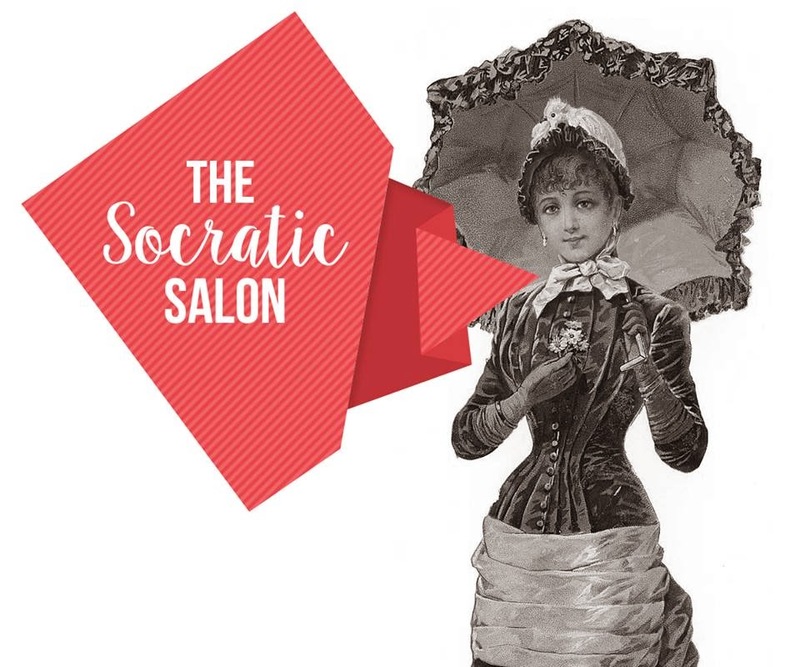 Heading over to the Socratic Salon to get in on the conversation... Enjoy your Sunday. I do think others will enjoy it but it wasn't what I wanted it to be. That's mostly because I had an idea in my head. Rats! I hope you had a wonderful weekend! Shoot, shoot....I meant to give to the Sheila thing, but was planning to come back and do it b/c was running out the door when I saw the FB post. Can we still give? You can't donate money to that GoFundMe anymore, but you can still leave a note. I do believe Sheila's family is taking donations towards Justin's favorite charity as well...I seem to recall that. I'll see what I can find out! Your stew look amazing... and the outpouring of support for Sheila made me proud to be a book blogger this week. Me too, JoAnn, me too. Oh hey, I'm from Minneapolis! I hope you liked it there. Sorry that Spinster wasn't what you wanted it to be. Still so sad about Sheila. But I'm glad enough money was raised for a bench! That's so great. I didn't know that! We're practically neighbors :D I'm in northern Wi and we get to Minneapolis a few times a year at least. Me too. It's the worst when a so-so book sends me into a slump. That wasn't the case this time, whew! 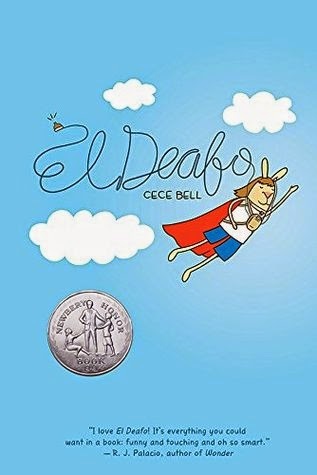 I loved El Deafo! Such a great read. And I can't believe the readathon is almost here. Took me totally by surprise - hustled over to the site today and signed up. Wasn't it great?? I want to make my kids read it too. I learned a lot. Hooray, super glad you signed up for the readathon! It's FUN! My week pretty much sucked. I was never so happy to leave work as I was on Friday. I am currently eating nothing, but I did have a pretty decent but ghetto veggie burger because I didn't have hamburger buns so used pita bread instead. I am watching nothing because I am trying to get caught up on email. I hope to go back to reading Anne Blankman's Conspiracy of Blood and Smoke. I loved her first book and cannot wait to see how Gretchen's story continues. Also, I'm trying not to think of the fact that the weekend is over already. It makes me too sad.